A continued huge thanks to the folks at Hired.com for sponsoring this week's bites. Finding a good job can be a daunting task. Today we'll take a look at how we can use Hired.com to save our sanity, and find a great job in the process. Let's dive in. That's it. Hired will then work with over 3,000 pre-screened companies (both big and small) in 13 major metro areas (North America & Europe) to try find us a great job. 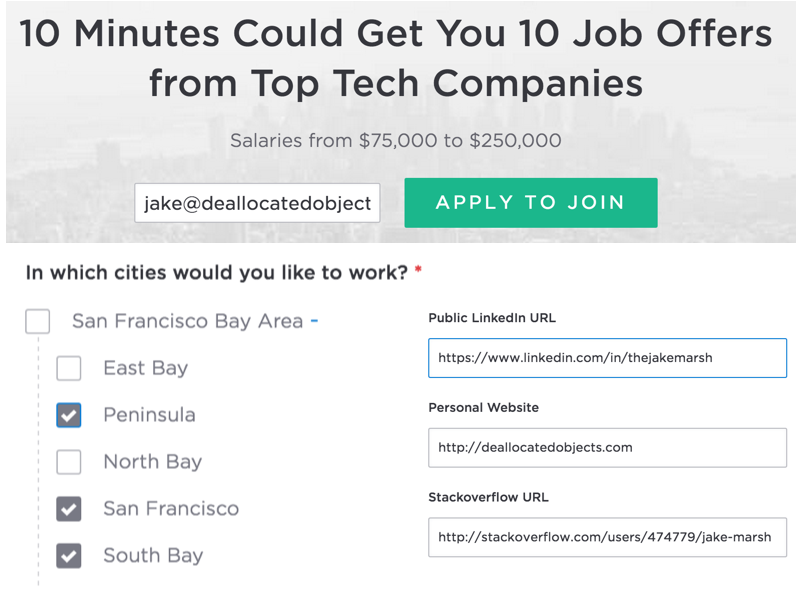 Software engineers and designers on Hired can get 5+ job offers in a single week. Each offer will include salary and equity details upfront. We can view interview requests and accept or reject them before talking to any company. If we get a job through Hired, they'll give us a $1,000 "thank you" bonus! Even better, if we sign up through this link: littlebitesofcocoa.com/hired, they'll double our bonus to $2,000! Hired is the real deal. They have solved some very real problems and fixed this historically messy process. Looking for a job? Don't waste time, sign up for Hired today so you can get back to work!